Polypropylene dustpan and matching brush. Durable plastic with tapered rubber edge. 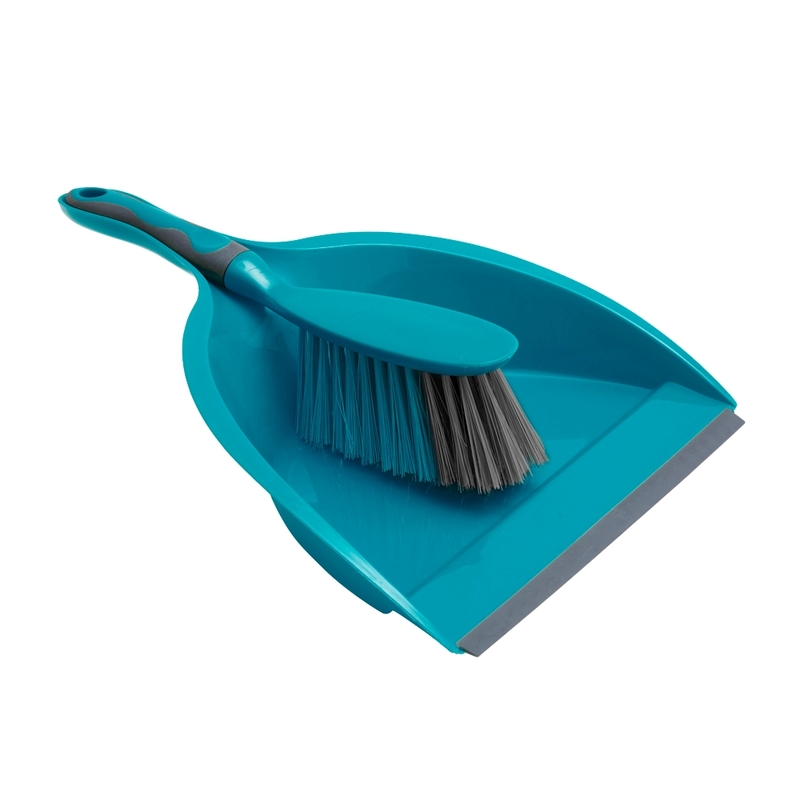 The rubber lip is flexible to make sweeping easier and the soft bristles collect the dust and dirt. The rubber handle offers added comfort. Hanging hole for storage purposes. Size: H: 10 x W: 24 x D: 35cm approx.